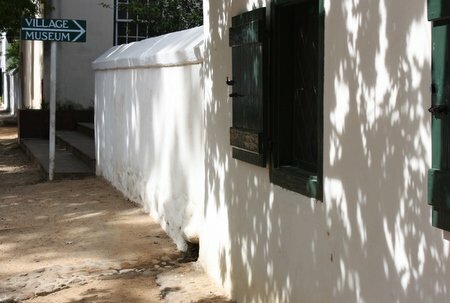 The Stellenbosch Village Museum currently comprises of four houses, each representing a different period in the architectural development of Stellenbosch. The houses and their gardens have been restored, furnished, planted and decorated to illustrate the particular style and taste of the time. 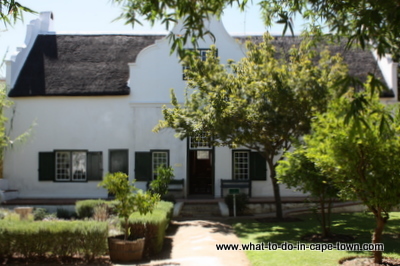 Schreuderhuis is the oldest restored and documented town house in the whole of South Africa . 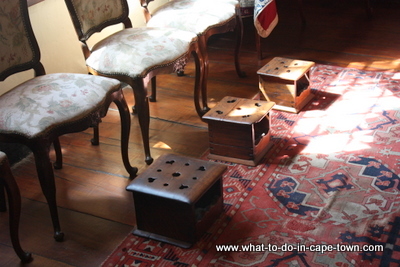 The interior furnishing and the garden are typical of a Stellenbosch home from the period of 1680 - 1720. The strings of onions, herbs and salted fish hanging from the rafters, the open hearth in the kitchen and the primitive Cape furniture lend a special charm to this dwelling. Much of the furniture was made from locally available materials. 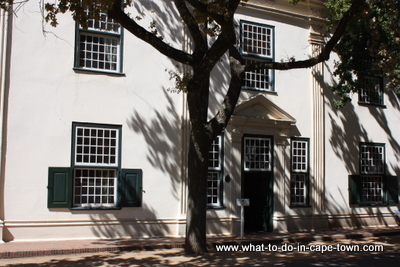 Blettermanhuis was built in 1789 by Hendrik Lodewyk Bletterman, who was the last landdrost (magistrate) of Stellenbosch to be appointed by the Dutch East India Company. 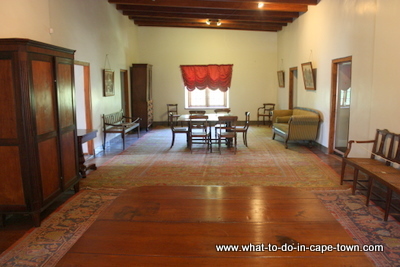 This house is built in the typical 18th Century Cape style, with 6 gables in an H shaped ground plan. In the front room of Blettermanhuis there is a group portrait of the Storm family. The daughter in the portrait, Maria Magdelana, later married Christian Ludolph Neethling who built another of the houses in the Village Museum complex, Grosvenor House. 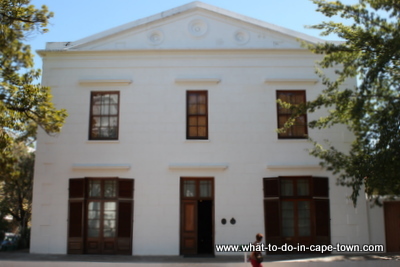 Grosvenor House, along with Koopmans de Wet House and the Martin Melck House in Cape Town , is one of the most outstanding examples of a two-storeyed, flat-roofed patrician town house. large garden and early 19th century appointments characterise this home, which represents the period from 1800 to 1830. 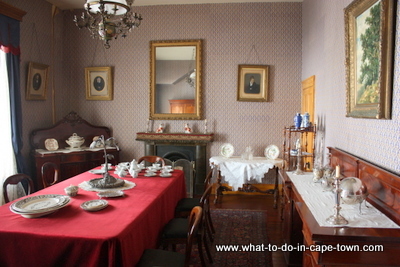 The home of OM Bergh is a typical mid-nineteenth century home with wall-paper, furniture and accessories from the period of 1850 to 1870. 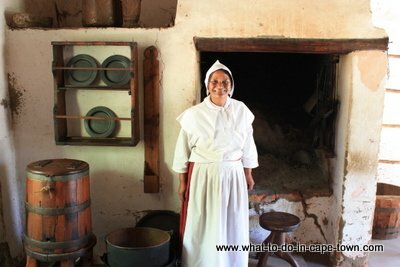 Return from Stellenbosch Village Museum page to Homepage.